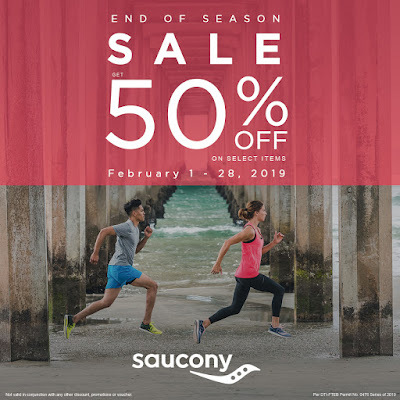 .. Saucony’s End of Season Sale .. from February 1 to 28, 2019. Grab up to 50% off on select items in Saucony concept stores and choose from an array of award winning performance footwear and heritage sneakers to cop! Visit Saucony stores now located at Glorietta 3 and TriNoma!